A massive earthquake has hit central Chile and killed at least 122 people, though the toll is expected to rise. The 8.8 quake caused widespread damage, destroying buildings, bridges and roads in many areas, including the capital where a chemical plant caught fire. As Civil Engineers, our hearts are with the Chileans especially those who have lost their beloved ones. I may hasten to say that from what I have seen on TV and with a Quake of such magnitude it seems most of the structures really survived and caused minimal fatalities. This can be credited to the Engineers from that great country. (02-27-2010, 08:24 PM)yakwetu Wrote: I may hasten to say that from what I have seen on TV and with a Quake of such magnitude it seems most of the structures really survived and caused minimal fatalities. This can be credited to the Engineers from that great country. God bless everyone in Chile.. I have read some news. There was said that the earthquake was 700-800 times stronger than Haiti's, but I do not believe it. As far as I know 1 grade = 31 times stronger. 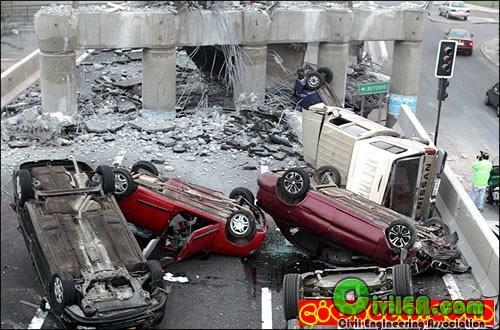 In Haiti the magnitude was 7.1, in Chile is 8.8 so this means 8.8/7.11*31=38 times stronger. In Haiti was a dissaster. I couldn't imagine what could happen here in Bulgaria after 8.8 earthquake. It is good that the earthquake was short - only 10-30 seconds. I saw some pictures where the damages are less than these in Turkey several years ago. I hope that there won't be many victims. 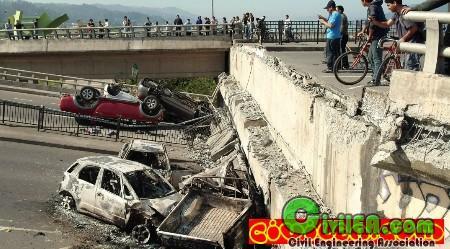 What happened in Chile Today shows us how a good practice of structural engineering minimizes loss of human lifes and damages of a country`s infraestructure. I think we have to congratulate Chilean structural engineers for the good behavior of most structures under this severe earthquake. (02-27-2010, 11:46 PM)ivanveliki Wrote: I have read some news. There was said that the earthquake was 700-800 times stronger than Haiti's, but I do not believe it. As far as I know 1 grade = 31 times stronger. In Haiti the magnitude was 7.1, in Chile is 8.8 so this means 8.8/7.11*31=38 times stronger. In Haiti was a dissaster. 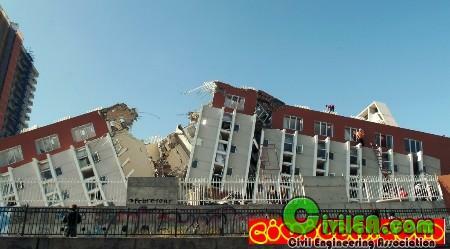 I couldn't imagine what could happen here in Bulgaria after 8.8 earthquake. The damages from an earthquake depend mostly from the effective acceleration on the surface, the duration of the earthquake, and of course the "quality" of the buildings. It is not easy to compare effects of earthquakes with different depths, distances, and ground parameters, even if they have the same magnitude. I think that always the most interesting from engineering point of view question is: Why this structure failed, and the other one still stands up? And the question itself shows that it is possible to make the things better! And it is sad to see new structures, designed by "modern engineers with computers", build with better materials, and brought to ruins next to undamaged old ones. Take those RC bridges on the pictures - what a catastrophe! The same happened during Loma Preita's and during Kobe's earthquakes, and everybody knows that these bridges sometimes cost like hundreds of buildings. My prays are with the Chilean brothers, as well as I give thanks to God that the friendly of there and their familiar ones (as Yucapareja) only must lament some that another lost material. It is in evidence which means a strict Engineering Codes, with taken controls good. Some photos of buildings with deformations almost exits of some defective runs of some program of structural calculation show the energy level that it had to support and to dissipate those buildings, like the sights in the photos that posted BennyP.